Mars is set to offer a new line of crunch-less Creamy Snickers to launch nationwide starting January 2019 featuring creamy nut butters rather than whole roasted nuts. 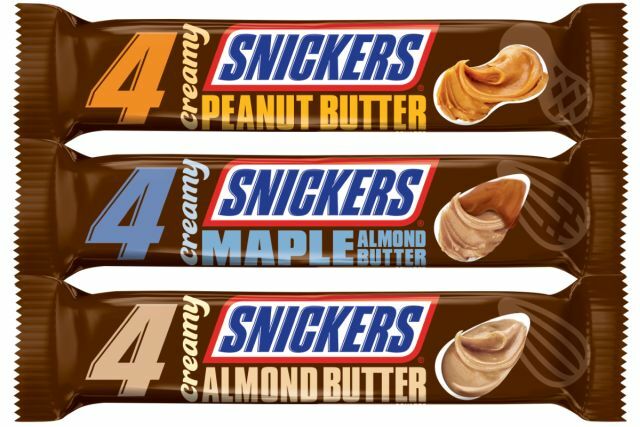 Creamy Snickers will come in three varieties: Almond Butter, Peanut Butter (not to be confused with Snickers Peanut Butter Squared, which still contains peanuts), and Maple Almond Butter. The new candy bars also include a layer of caramel and a coating of milk chocolate (but no nougat). 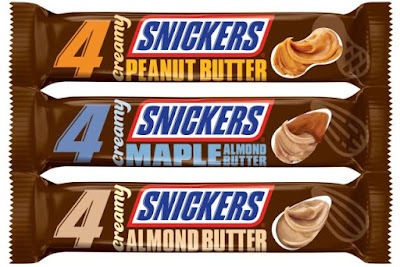 Creamy Snickers will be available in Single (1.4 oz), Share (2.8 oz), and Stand Up Pouch (7.7 oz) sizes.